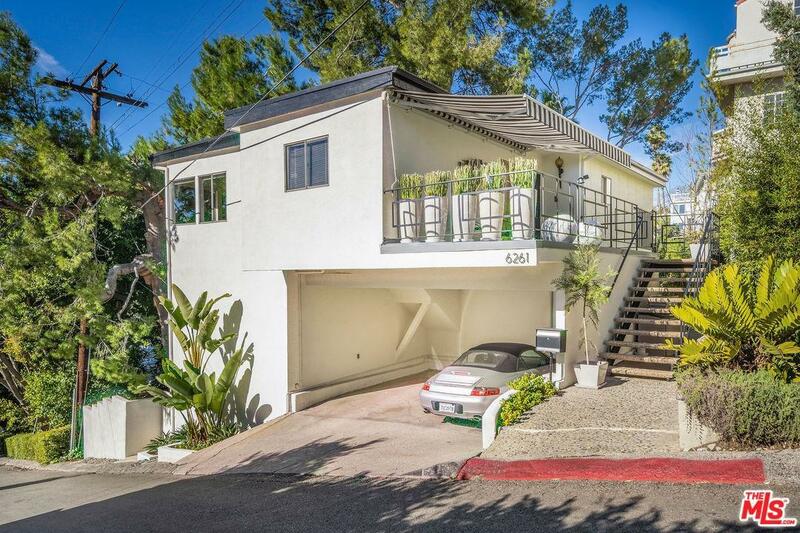 This gorgeous Mid-Century Home located just west of Beachwood Canyon, on the crest of peaceful Hollywood Hills/Dell neighborhood features clean lines and exudes charm. Spacious open floor plan; from the kitchen with original dual oven that lights up like a Cadillac, new stainless steel appliances, through the living room with restored wood burning/gas fireplace, to a family room that can easily be converted back to a 3rd BR, the top floor offers great entertaining flow. The lower level hosts 2 additional BR. The generous master bed room and walk in closet with walls decorated with original and super cool wallpaper is a must see! Not included in Sq.Ftge is a private entry guest unit with sewer, gas, and plumbing connections ready for your touch to turn it into a dreamy AirBnB, a long terms rental, or fabulous office space. Ample yard to create a retreat space with pool, spa or what your imagination takes you to More features include laundry room, new HVAC, copper plumbing, and more.